“Big Red” keeps the top spot in J.D. Powers & Associates’ semi-annual survey about the full-service wireless carriers. There was some shifting amongst the other three national players however, AT&T took the number two spot, scoring just slightly below Verizon. The United States’ number one and two carriers by size also scored above the industry average as well. Sprint and T-Mobile did not fare quite as well, scoring at a distant third and fourth respectively and below the industry average. What contributed to the outstanding showing of the two larger carriers? The shared data plans believe it or not. J.D. Power pointed out that the shared data plans have been well received and the satisfaction levels of customers who adopted the new plans scored even higher. Spending per household was also up about $30 per month, perhaps accommodating new smartphones being added to plans recently. 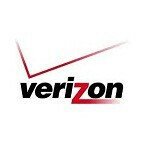 Verizon offered some credit to its efforts to make a strong social-networking presence as part of its image. Image JD Power & Assoc. The scores are measured out of a possible 1000. Verizon scored 766 and AT&T 759. The industry average was 755. Sprint and T-Mobile scored 746 and 715 respectively. J.D. Power & Associates also surveyed consumers of pre-paid services. MetroPCS took the top spot with a score of 733 with Virgin Mobile right behind at 729. The surprises with the newest survey are AT&T and T-Mobile. AT&T historically has not done as well, and T-Mobile USA is widely regarded for having very good customer service. Are the times changing? Well they offer more phones that's for sure lol. Still though out of all well the Big 4 if I had the money I would possibly switch to Verzion more than likely. AT&T does piss me off a good bit of the time. Incorrect. AT&T also offers the 8x & so does T-Mobile. T-Mobile has multiple Windows Phones, not just Android & they will soon be offering the iPhone also. Does Tmobile carry the largest selection of windows phones? AT&T carries the 8x also Wendy. Verizon and AT&T are close. In my experience as far as service area....I belive it. And T Mo is last where I am for service. But for overall reception.....in my area its Verizon and AT&T. AT&T might actually be a lil better. As you can see.....we cry n moan about Verizon prices...but ppl are paying that money for a reason. you just said that at&t might be a lil better than verizon, but are the prices the same? I thought you are the Verizon user? Depends on what I get. In some cases Verizon was a lil cheaper than AT&T for the same services, same GB of data. I have a 3 line family plan. One unlimited data, one with 10GB, one with 2GB. And I already had unlimited talk n text before Verizon switched to the Share Everything plans. Wow AT&T has come from dead last to a close 2nd, not bad. Somebody finally woke up at their HQ after six years of last-place finishes. All four carriers have some serious swiss cheese going on in one way, shape, or form. It all comes down to picking your poison: service coverage or superb customer service, the better you expect the higher you might be paying. As well, you can tell T-mobile is still paying for the "I don't care anymore, I might be losing my job" attitude that their customer service reps had due to the proposed merger. Somebody might want to resend them the corporate internal memo letting them know the buyout is off. Also, Tracphone, Straight Talk, and Net 10 are all owned by AmericanMovil. Yet, they're all over the boards. Maybe they should consolodate their call centers and train their reps better?